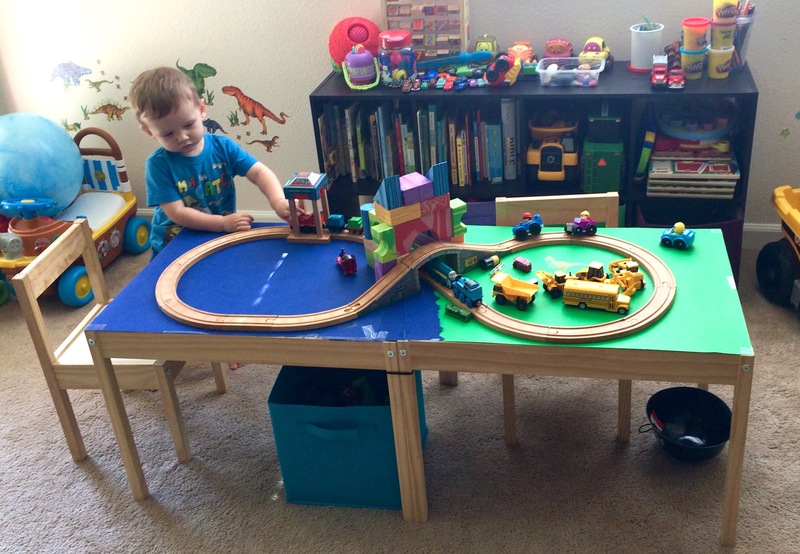 IKEA Hack Train Table – Crazy for D.I.Y. October 28, 2016 • Crazy for D.I.Y. Our son lives and breathes trains. 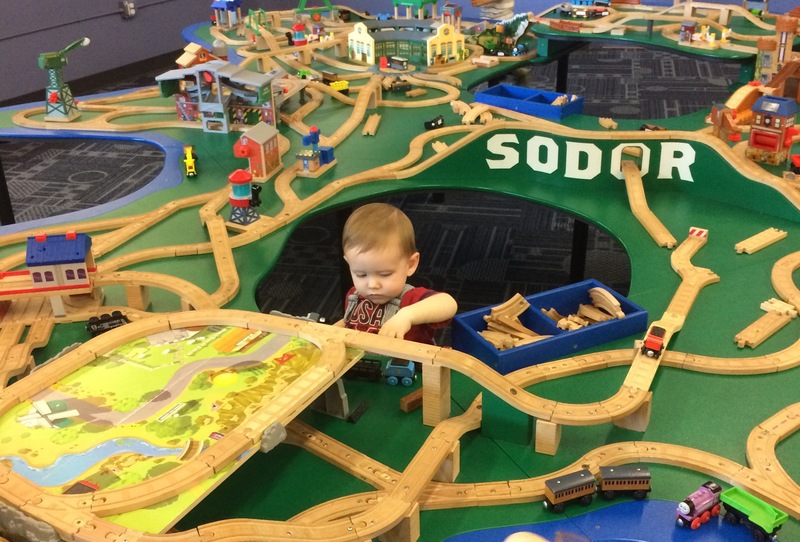 When he turned 1.5yo I really wanted to get him a Thomas train table (so he would stop using the attoman as the Island of Sodor). However, we lived in an appartment at the time and they all took up the same amount of space: too much of it! They also cost around $200. Yikes! 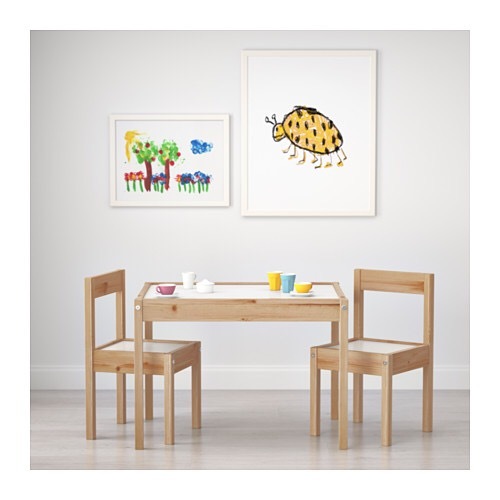 So I found this IKEA LÄTT children’s table set which is a fraction of the cost. $25 each set. 50″ x 19″ was he perfect size. 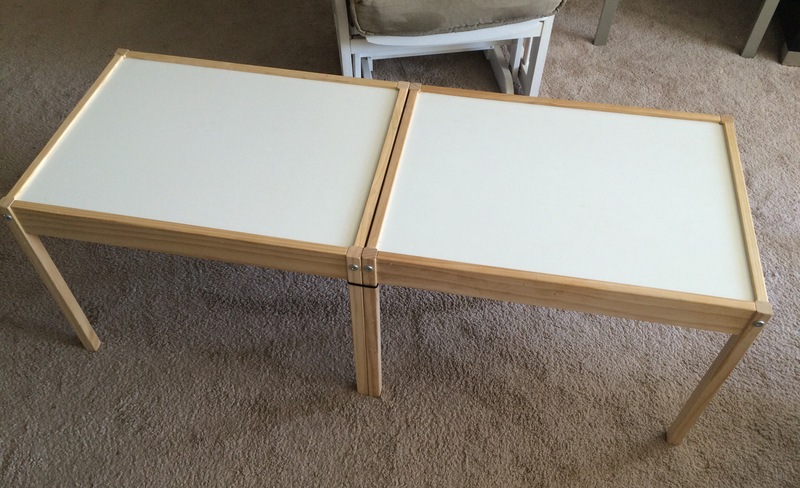 There is a small level difference from the table to the frame but a foam board thickness was the perfect filler. I had to trim the foam boards slightly to fit snug onto the table and in the frame. I used 2 standard foam boards total. 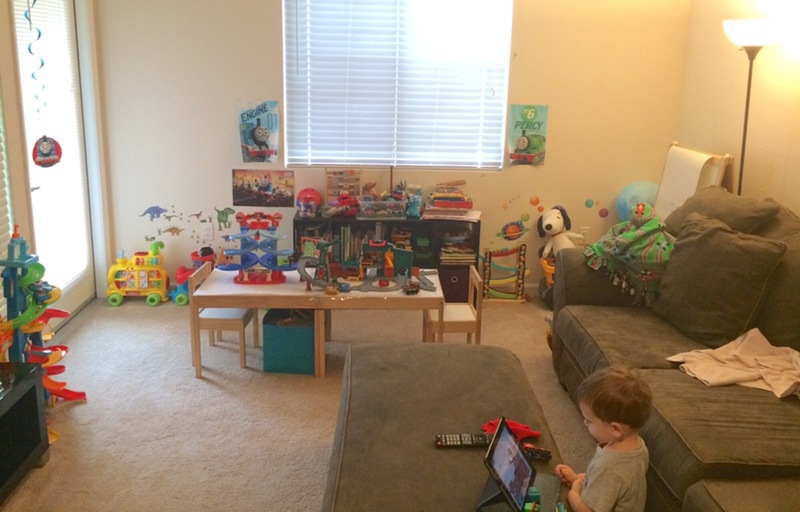 Here’s a picture of the table on right including fitted foam board. 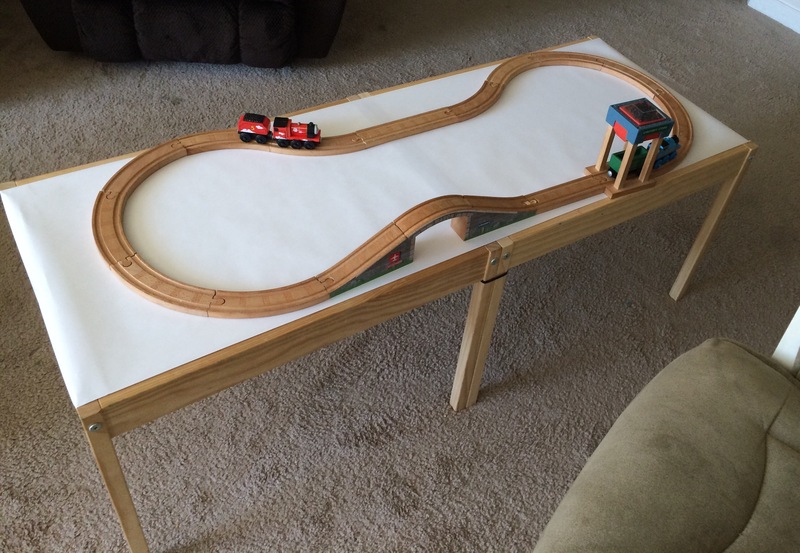 Making it a flatter surface for trains. 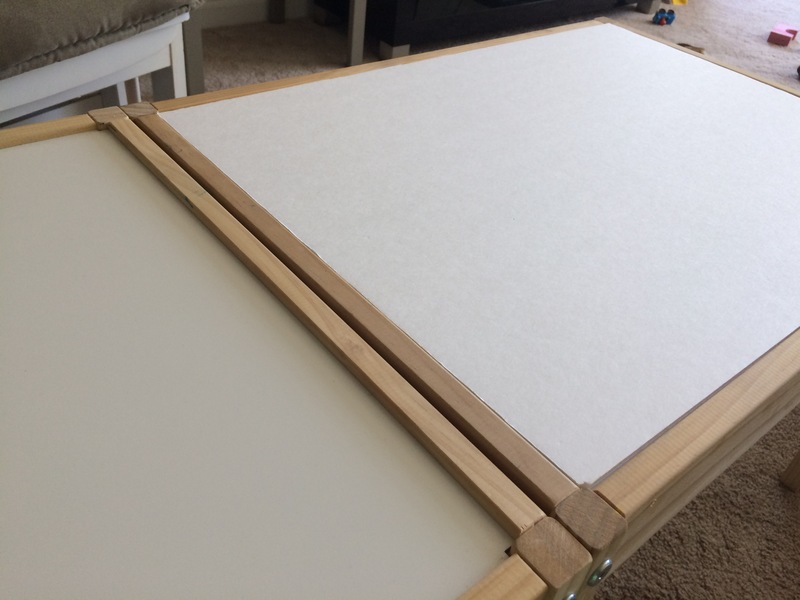 After the foam boards were added I taped a roll of white easel paper over the entire table. The width of the easel paper is the perfect size. This is a nice size to fit trains and wooden track or even a blank space to paint or draw your typical train scene with land and sea. I had some dollar store poster board laying around and just played with that. It didn’t last too long because my son wanted to peel it off but we had fun while it lasted. These tables are the best purchase I’ve made because of how versatile they are, light weight to quickly move to another room and cheap in case you need to buy more! 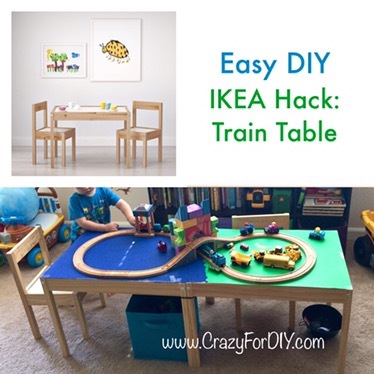 Posted in CraftsTagged diy, easy, hack, ikea, table, trainBookmark the permalink.